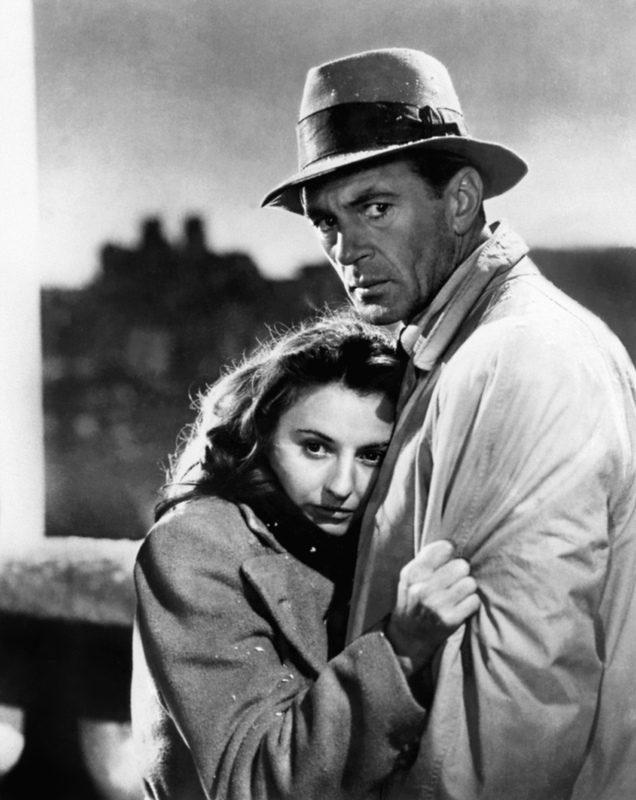 Meet John Doe (1941), starring Barbara Stanwyck and Gary Cooper, is one of the 1001 classic movies you should see. Each Monday, I'm going to recommend a classic movie you should see (for the reasons behind the 1001 series and reviews of earlier films covered go here). December's theme is Christmas movies starring Barbara Stanwyck. This week's selection is director Frank Capra's timely satire, Meet John Doe (1941). Meet John Doe tells the story of columnist Ann Mitchell (Stanwyck), who is fired from her job at a big-city newspaper because her column has "too much lavender and not enough lace," according to her no-nonsense editor (James Gleason). As a form of revenge, Ann writes her last column as a letter from "John Doe," a supposedly despairing citizen who says he is jumping off of city hall on Christmas Eve to protest the treatment of everyday Americans. Ann's column becomes a sensation, and she gets her old job back on the condition that she can come up with someone to take on the John Doe persona. 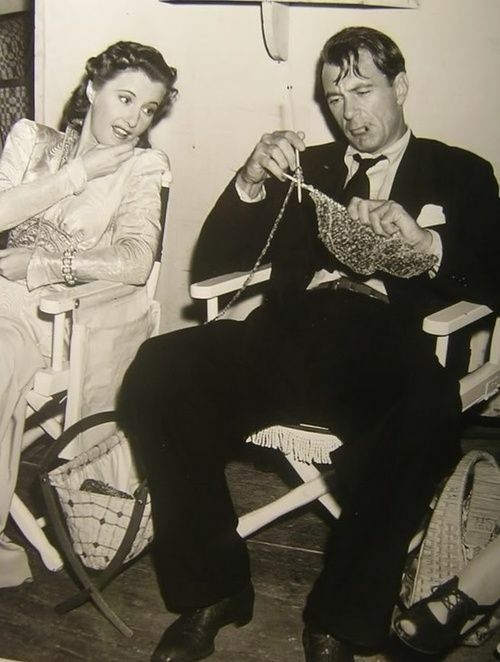 When a photogenic hobo (Gary Cooper) falls into her lap, John Doe becomes a national celebrity and soon John Doe clubs are springing up all over the US. Meet John Doe is based on a 1922 short story by Richard Connell about a clerk who crashes a ritzy Park Avenue party to announce that he is killing himself in protest of the treatment of working class Americans. Connell and Robert Presnell, Sr., had been shopping a screenplay around Hollywood when screenwriter Robert Riskin brought it to Capra's attention. The populist themes of the story were right in Capra's wheelhouse, and Capra decided to make it as the first movie in his two-picture deal with Warner Bros. The result was box-office hit and Academy Award winner (for best original story) that is still a potent commentary on the power of the media in modern society. Although Meet John Doe's final scenes occur on Christmas Eve, the movie isn't traditional holiday fare like Remember the Night (1940) or Christmas in Connecticut (1945). The sentimental, quasi-religious ending -- Stanwyck's final speech references the birth of Christ several times -- is preceded by an hour and 45 minutes of pointed satire about the role of the media in manipulating American politics, and the frightening possibility of foreign influences destroying American democracy from within. 1. The media. 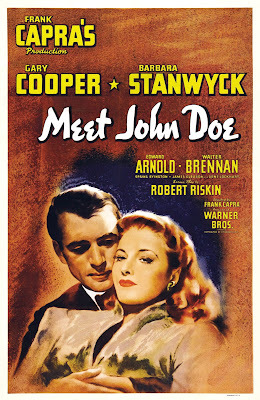 Most of Capra's pointed satire in Meet John Doe is at the expense of the media, whether it's the gullibility of radio audiences who hang on every word of John Doe's fake speeches, or the greed of the newspaper industry, who, instead of covering real news, churn out made-up stories about John Doe to increase circulation. 2.The Fifth Column. At one point, Gleason's newspaper editor refers to billionaire Edward Arnold as part of a fifth column. This reference is obscure today, but in 1941 there were very real fears that a small, but powerful group of Nazi sympathizers known as the Fifth Column could take control of the country. A more detailed explanation of the Fifth Column can be found here. 3. The ending. Capra filmed five endings to Meet John Doe, including one where Cooper's character does commit suicide on Christmas Eve. He made his final choice based on surveys of preview audiences who were in favor of members of the John Doe club reasoning with their reluctant hero. 4 The rally scene. The filming of the John Doe rally at Gilmore Field in Los Angeles was a massive undertaking. It took eight nights and 200 plumbers to keep the rain falling on the unlucky extras who crowded the baseball stadium. Gary Cooper checks out Barbara Stanwyck's knitting on the set of Meet John Doe (1941). Other critics: Meet John Doe has an 89 percent fresh rating at Rotten Tomatoes and Leonard Maltin writes that the film's "wordy idealism can't bury good characterizations" in a three star review for his Classic Movie Guide. Critics in 1941 had mixed opinions of the movie. The usually unimpressed The New York Times critic Bosley Crowther was enthusiastic, writing that "with an excellent script by Mr. Riskin—overwritten in many spots, it is true—Mr. Capra has produced a film which is eloquent with affection for gentle people, for the plain, unimpressive little people who want reassurance and faith." However, the Variety critic wasn't buying Capra's version of populism. He wrote that Meet John Doe "leaves the audience at the finale with scarcely more than the hope that some day selfishness, fraud and deceit will be expunged from human affairs." The bottom line: Meet John Doe is overly wordy at times, but it is still a serious-minded Christmas movie that is perhaps more relevant today than it was in 1941. 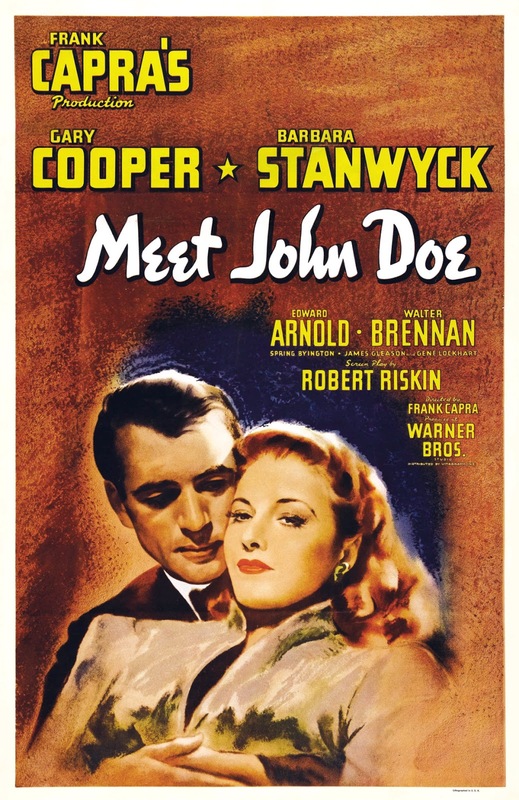 Availability: Meet John Doe will air at 8:15 a.m. Dec. 24 and 3:30 a.m. Dec. 25 on TCM. It is also available on DVD. Next week, I'll wrap up December's theme with an all-time favorite, Christmas in Connecticut (1945).